The fandom of Saif Ali Khan and Kareena Kapoor Khan’s little munchkin Taimur is reaching a new height. 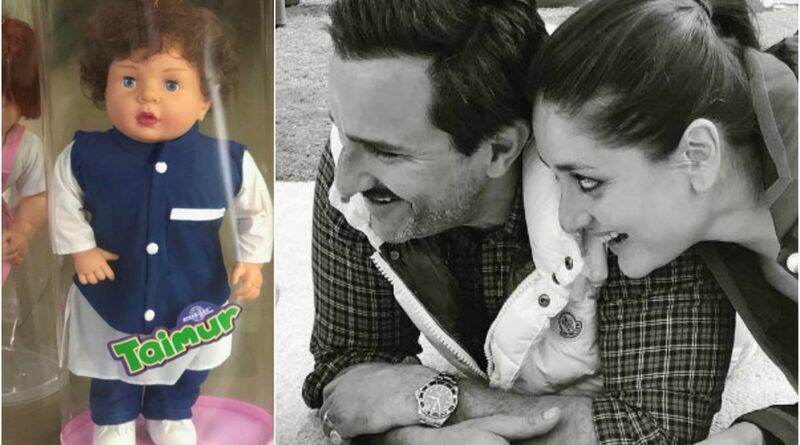 Move over pictures of the star kid, you can now take home a Taimur doll. Yes, you heard it right, a store in Kerala is selling dolls that look like Taimur Ali Khan. Movie producer Ashvini Yardi on Tuesday shared a picture of one of these dolls, the pack of which has ‘Taimur’ printed over it. Netizens went crazy after seeing the ‘Taimur’ doll. The toy is dressed in a white kurta, navy blue pajamas, and a jacket. At Karan Johar’s talk show Koffee With Karan, Karan revealed that Taimur tops the paparazzi’s rate card. The blue-eyed Pataudi baby is going to celebrate his second birthday next month.